So, they’ve finally done it. 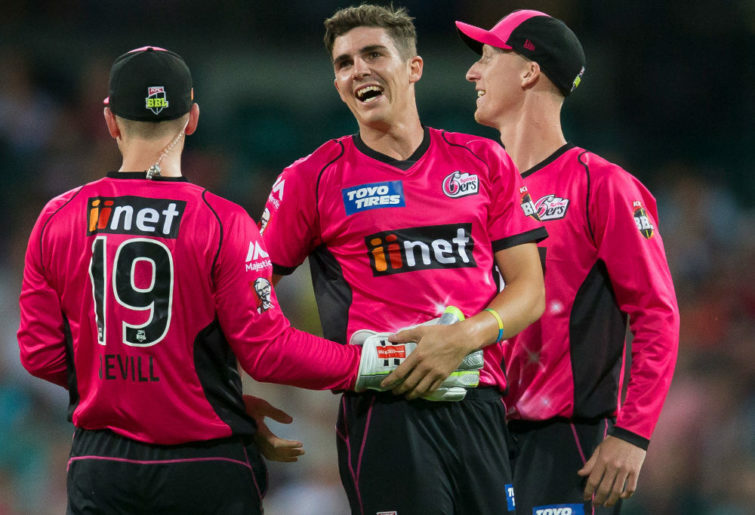 After a month of being unenthused about the Sydney Sixers and expecting their bubble to well and truly burst until as recently as this week, they’ve gone and produced the kind of performance that makes you rethink your pre-season gut feel. And in fairness, I know I wasn’t along in not rating the Sixers going into BBL08. I know my thoughts as expressed in these fair pages have been met with head-nodding and confirmation. They hadn’t recruited very well at all, we thought, putting too much faith in the same bunch of core NSW players despite underwhelming last year, which is itself was a failure to regroup after losing the Final to Perth in BBL06. For the Sixers to do anything this summer, it was going to be on the back on other team’s worse struggles, not their own performances. We thought. Well guess what, we’re all going to be wrong about them. Despite winning their first few games almost in spite of themselves, and certainly to spite those of us more than content to write them off, the Sixers’ tremendous win over Brisbane on Sunday night has given them one thing they still didn’t look like they’d been playing with a lot of. And what’s more, three of their next four games come at the Sydney Cricket Ground, which is becoming louder with every new win, and whose wicket is still tripping visiting teams up. The Sixers are in that group of teams on ten points, and the Sydney Thunder (nine points) sharing points with Brisbane last week after the blackout debacle at the Gabba can create a nice little buffer gap on the chasing pack. If the Sixers can win those three home games – against Hobart, Adelaide, and the Thunder – they should be quite comfortable with 16 competition points. A final game at the MCG against the Melbourne Stars should only consolidate them further. The win over the Heat on Sunday night was comfortably their best of the summer. They batted very well indeed, to make 7/177 from their twenty, which is by a good margin the highest total at the SCG this season. They had the standard first wicket stutter, but they’ve had so much practice at consolidating after top order collapses that they’ve become very good at it. The arrival of English batsman James Vince had certainly helped here, too, and he’s been a key performer since landing in Sydney. 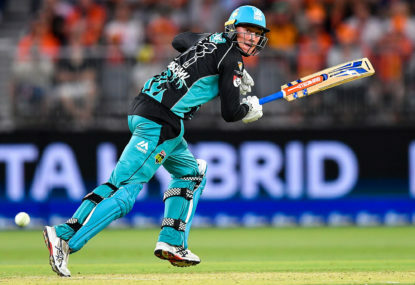 His partnership with Jordan Silk – the Sixers’ leading run-scorer for the tournament – proved to be more than enough to keep Pink Sydney out of Brisbane’s reach. Steve O’Keefe starting with a wicket in his first over set the tone for the Heat’s run-chase, and Sean Abbott snaring Chris Lynn inside the powerplay started the collapse that saw Brisbane kill any chances of consolidation of their own, losing wickets in the ninth, eleventh, 14th, 15th and 16th overs, before losing their last three wickets in the 18th and 19th overs to lose by 79. Abbott’s three wickets, along with three from English allrounder Tom Curran ended up being every bit as crucial as the Vince-Silk stand. So what have the Sixers done right, and why the change of heart? Well, they’ve not relied on any one player, or needed any one particular player to fire for them to set a defendable total, or restrict teams from the outset. And they’ve been really adaptable in how they’ve approached games. After having some success batting first early, and indeed, winning the toss and batting themselves, they’ve been just as happy to send the opposition in and chase. They don’t *have* to bowl first like some teams prefer, nor do they seem overly fussed when sent in. Their performers have been wide and varied, too. Silk is leading the way in the middle order, and his ability to bat time and experience opening has been crucial in the Sixers coming back from the early wicket lost, which they seem to have done most games. Silk (260) and Daniel Hughes (237) have been the standouts, but Moises Henriques (195), Curran (175), and Josh Phillipe (153) have been chipping in with crucial runs. Vince has notched 109 in three hits since landing. ON the batting front, Jack Edwards has been the only disappointment, and it seems that even dropping down to no.7 is helping. All bar Phillipe have a fifty to their name, but the young ‘keeper bat could easily join them now that he’s been promoted to open. 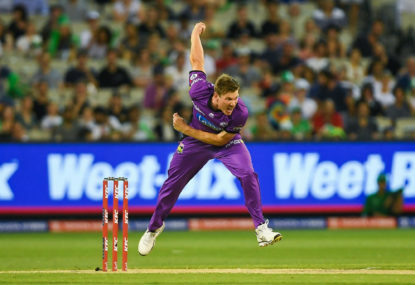 And in O’Keefe (16 wickets), Abbott (15), and Curran (14), the Sixers now have three of the top four bowlers in the competition, and all with them with strike rates between 14.3 and 15.3. All eight BBL sides have a bowler in the top ten wicket-takers, but no-one else has three. That’s not nothing. It’s a credit to the players themselves for just getting on with the job, but also to coach Greg Shippard for creating the environment where they’ve been able to move on from what were some pretty lucky wins early and go on with the job. Perhaps the disappointing performance of Brisbane and especially Brisbane have played a role in the Sixers’ run to the top four, and before the win over Brisbane I probably would have happily clutched onto this straw. But the Sixers are playing the kind of niggly, grinding cricket that will be really important when the BBL reaches the pointy end of the competition. They can’t be written off any more. And they’ve already made my decision not to publish those pre-season gut feelings a good one. Brett McKay is one of The Roar's good news stories and has been a rugby and cricket expert for the site since July 2009. Brett is an international and Super Rugby commentator for ABC Grandstand radio, has commentated on the Australian Under-20s Championships and National Rugby Championship live stream coverage, and has written for magazines and websites in Australia, New Zealand, South Africa, and the UK. He tweets from @BMcSport. 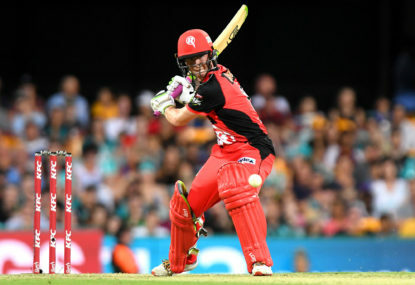 The second spot in the Big Bash League final will be decided when the Melbourne Renegades host the Sydney Sixers at Marvel Stadium. This is The Roar’s guide to streaming the match online or watching it on TV. 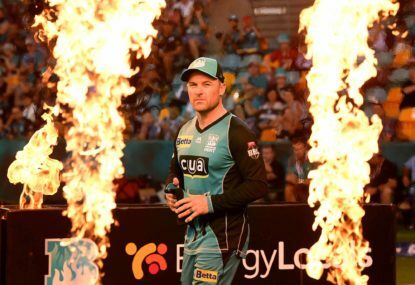 Let’s do two sets of rankings for the final BBL column for this year: the finals teams, and four things Cricket Australia should do to fix the Big Bash. 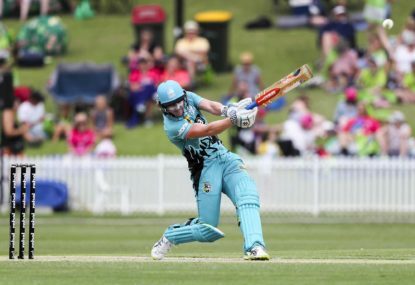 The Big Bash League is in its final stretch for the summer, with the final five games of the regular season to be played over the next four days. 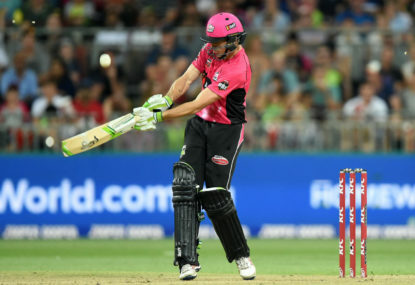 Daniel Hughes and James Vince have piloted the Sydney Sixers to a nine-wicket rain-affected win over a meek Sydney Thunder and into the Big Bash League finals. What's wrong with this season's BBL? There’s a massive difference between this and last season’s BBL – yet there will be more games and far more coverage. For such a long time Australia Day has been known for many international sporting classics, but in 2019 the day comes with a bit of a twist.